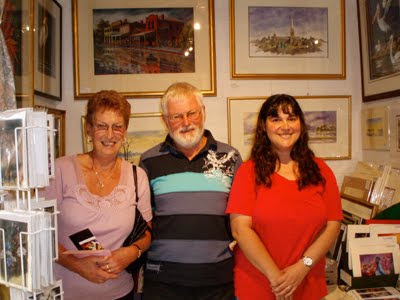 Good Friday saw many happy people come to my exhibition. I captured three of them on film in the early afternoon. Barb, Kevin and Janet had a lovely time. Thanks for allowing me to take your photograph Barb, Kevin and Janet.